Women Only Swimming - This Girl Can - Aquamoves – Indoor and outdoor pools, fitness facilities and programs in Shepparton, Victoria. We are excited to partner with VicHealth in their ‘This Girl Can – Victoria’ campaign to continue offering Women Only Swimming sessions here at Aquamoves. ‘This Girl Can – Victoria’ is all about empowering women across the state to get active and overcome feelings of judgment. 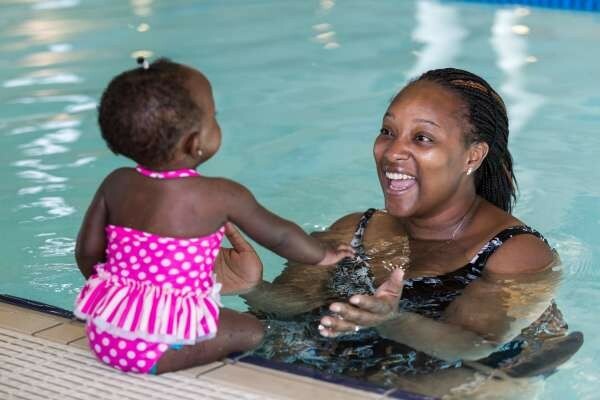 In our 'Women Only Swimming' sessions, you can enjoy a swim in our indoor 25m, leisure and hydrotherapy pools or relax in our sauna and spas in the company of other women. We will also have one-on-one water safety lessons available on the night. All women are welcome. Boys under the age of five will be allowed access to these events. For more information phone us on 5832 9400.